Scottsdale, Ariz. – Troon Golf, the world’s largest golf course operator, added three more golf facilities to its portfolio after the recent announcement that the Scottsdale-based firm is now overseeing two properties owned by Carl M. Freeman Companies: Bayside Resort Golf Club and Bear Trap Dunes Golf Club in Delaware and The Bay Club in Maryland. The 18-hole Jack Nicklaus Signature Golf Course at Bayside Resort Golf Club surrounds the property’s unique beach-front community, featuring dramatic landforms and creative bunkering on every hole. Located in Selbyville, Del., special care was taken to leave Bayside’s wetlands and woodlands in their natural state, creating dramatic views of Assawoman Bay’s breathtaking coastline that are visible from several holes. The beach resort community features countless amenities that take full advantage of the area’s environmental setting, including pristine beaches, walking and hiking trails and undisturbed habitats. Bear Trap Dunes Golf Club offers one of Delaware’s most challenging golf experiences through wild, winding bent grass fairways, natural dunes and impeccably groomed greens. Located in Ocean View, Del., the championship golf facility features 27 holes designed by course architect Rick Jacobson, offering imaginative design techniques and a diversity of lengths and tee placements for golfers of every skill level. Nestled amid the picturesque woodlands and natural wetlands of Maryland’s celebrated Eastern Shore, The Bay Club offers 36-holes of championship golf and is located just eight miles from Ocean City in historic Berlin, Md. The West Course features the area’s original island green and the East Course offers the area’s only tour-quality Zoysia grass fairways. Troon Golf is the world’s largest golf management company, overseeing operations at properties located in 31 states and 23 countries. 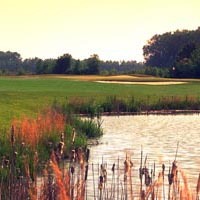 Among Troon Golf’s celebrated list of properties are Oneida Golf and Country Club in Green Bay, Wis.; Troon North Golf Club in Scottsdale, Ariz.; The Golf Club at Equinox in Manchester Village, Vt.; Classic Club in Palm Desert, Calif.; One&Only Ocean Club on Paradise Island, Bahamas; and The Grove, London, England.